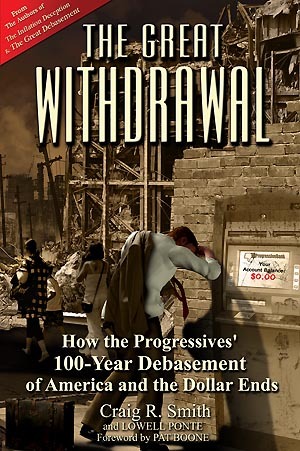 The Great Withdrawal Executive Summary explains why America's future is clearly reflected in Detroit's 2013 bankruptcy. One by one, authors Craig Smith and Lowell Ponte, peel away the layers of the 100-year old attempt by Progressive politicians to hijack the heart, mind, soul (and wallet) of every American citizen. Call 800-289-2646 or register for a FREE copy of The Great Withdrawal Executive Summary!